Former Australian legend, Michael Hussey , has called upon the selectors to bite the bullet and offer South Australia's Callum Ferguson,a Test debut, if regular skipper, Michael Clarke, fails to pass fit in time for the Brisbane Test against India. Clarke re-aggravated his hamstring injury during the first ODI against South Africa in Perth on Friday and is said to be a doubtful starter for the India series. As Australia searches for his likely batting replacement, Hussey, has called upon the selectors to offer Callum Ferguson, who is currently the leading run-scorer in the Sheffield Shield, an opportunity to prove his credentials at Test level. "Personally I feel someone like Callum Ferguson is ripe for the picking," he said. "He's leading the Sheffield Shield scoring and has been very consistent the last three years," he added. The 30-year-old Ferguson, who last featured for Australia in a ODI match in 2011, has displayed excellent form in the ongoing Australian domestic season and made a superb 140 against Victoria in the latest round of Sheffield Shield matches. "Thirty is still young these days, he could play for another eight years and play over 80 Tests if he plays well," Hussey, who himself made his Test debut at that age, noted. Australia crashed to a humiliating 2-0 series defeat against Pakistan in the United Arab Emirates (UAE), and Hussey felt Shane Watson, who missed the series with an injury, must be back at his familiar number three batting position. Alex Doolan batted in that position in the first Test, but was dumped after scores of 5 and 0. His replacement for the second Test, Glenn Maxwell, fared marginally better, making 37 and 4. Hussey said he was impressed with what he saw of Doolan and urged the selectors to give the Tasmanian a better run. "I'm a big fan of Doolan though, I must admit, and I'd love for selectors to give him an extended run at it," he said. The former Australian batsman also backed Chris Rogers to come back into decent form. Rogers spent time in the middle during the first Test against Pakistan in Dubai, but failed to convert his starts into bigger knocks. "I'd also hang onto [Chris] Rogers, he complements Dave Warner very well. If they're looking ahead to England and the Ashes, he's the guy who's played more cricket in England than anyone," Hussey said. Despite his persistent injuries, Hussey backed Clarke to continue as Australia's Test captain, but pinned hopes on Haddin in Clarke's absence. "I still think Clarke is a chance, despite what everyone else is saying out there," Hussey said. "If not Haddin's the vice-captain, he's got the experience and the know-how," he added. Glenn McGrath, one of Australia's fast bowling greats, also chipped in saying that Clarke had done enough to retain Test captaincy. He however opined that Clarke should take a call on his ODI future, considering the spate of recent injuries. "Australians have always valued Tests higher than anything else," McGrath said. "The World Cup is very important, there's no doubt about that, but I think with Michael Clarke it's about getting fully fit again. He's had problems with his back and his hamstrings, they're both connected, so they're not positive signs for the future," he added. Speaking about captaincy in Clarke's absence, the legendary pacer admitted that Haddin would be the first choice, if completely fit, but also spoke highly about Steve Smith. "If Brad Haddin's back fully fit, he'll slot straight back in there. If not, they've always earmarked Steve Smith as a future Australian captain. "He captained NSW, I think he's done a great job. 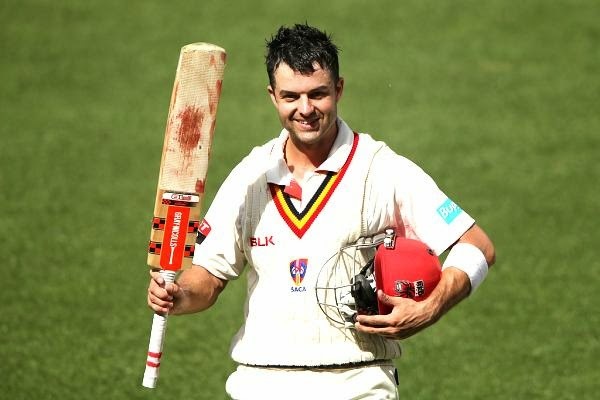 I like the way he goes about it, his attitude and if given the opportunity I think he'll do very well,"McGrath concluded.